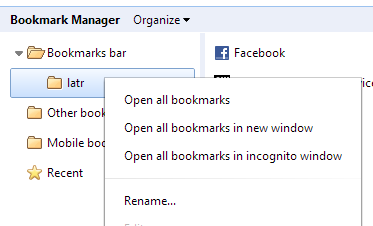 Here's a simple way to save all your open tabs in Google chrome . Press Ctrl-Shift-D , to bookmark all the currently open tabs. Name the folder something like "Read Later" or "Last Session"
Find the folder you saved the tabs in. 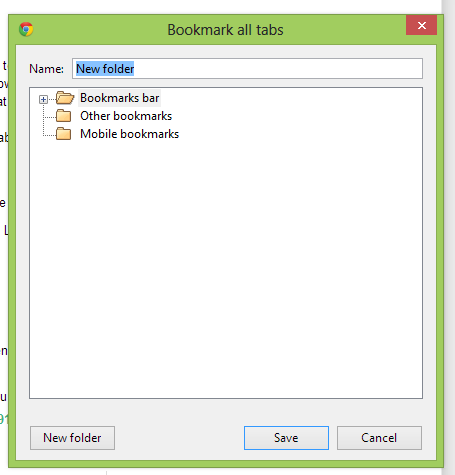 Right click the folder and select "Open all bookmarks in a new window". that's it for now , Tweets by @PrashantM911 like us on facebook , comment and share ! Recharge your mobile phone battery in a second ?